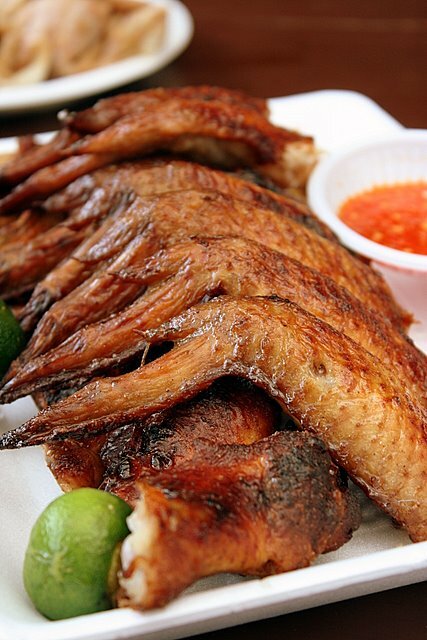 One of the hot favourites at East Coast Lagoon Food Centre is BBQ chicken wings. I'm not sure which is currently the best, and certainly can't remember the ones I had prior to the massive renovation a few years ago. These are from stall no. 44, oddly called Teddy Bear. Wings good-sized and well-marinated but the chili really does not go with the chicken. Chicken wings S$1.20 each, for a minimum order of two. 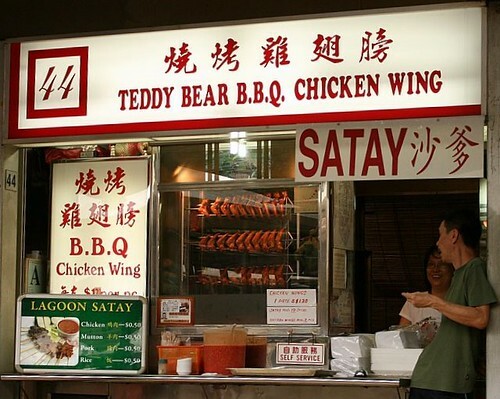 They also sell satay - chicken, mutton and pork but no beef. Hey dude, you need to put more thought into the chili sauce! It seems like ALL of them serve the same type of chili sauce (even in Lau Pa Sat), akin to that used in chicken rice albeit them being more sour... and diluted. If u happen to buy satay, ask for an extra bowl of sauce. Dip the chicken in that. YUM! Wah, seems like you going to Lagoon a lot lately huh? Haha! Love those chicken wings. But I agree with the chilli sauce. Not good at all. I think the well-bbq wings will go down with a mixture of chilli padi + lime + chinchalo. Maybe a dash of prawn paste too. Slurp. Yes, CT, the chicken wings go well with any other sauce that you can get there - like my stingray sambal sauce too! Mocha: I bet you can! 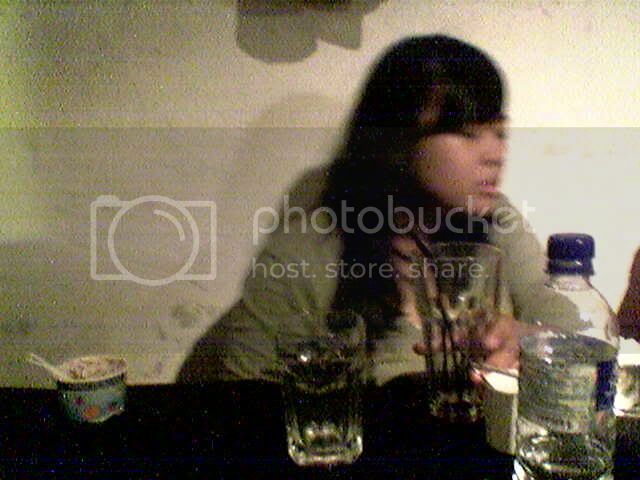 SIG: this is only my second visit since the blog started. :) East Coast Lagoon *is* walking distance from where I live but quite underexplored. Wryer: Yums that sounds good too! K-man: haha, it's soo uncharacteristic that it's memorable! I've tried the Teddy stall and I think this one I'm showing you is a bit juicier and less dry. Tigerfish: glad to be of service! Harris: what a coincidence. I was at Haron's for satay but did not try his chicken wings. Juicy, you say? I shall be back. The chicken wing is tasty & good. Once try, it'll never forget. MUST TRY.